Horses! Horses! Horses! 60x160 indoor boarding with riding arena. Water/electric - fine stalls made of oak. Loft could be made livable. Tack room is locked, please make appointment to see. Do not drive up the driveway without permission. 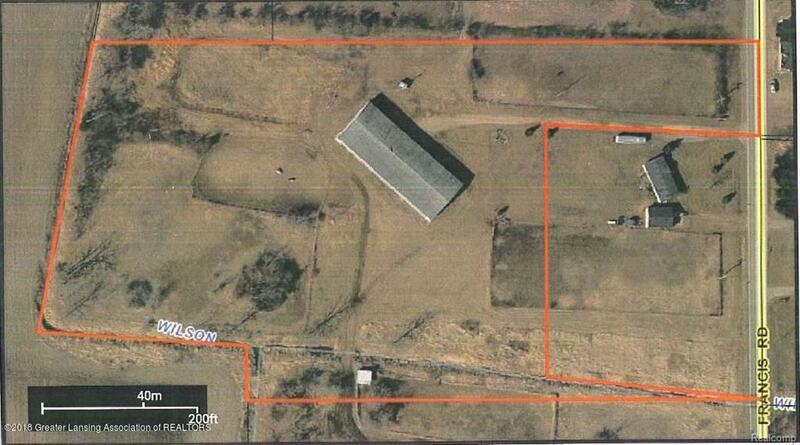 6.33 acres, two outdoor riding arenas too. Round pen. 17 possible boarding stalls, for fancy horses. Must see to appreciate. A Hall of Fame owner for 50 years. There currently is no home on the property but it is grandfathered in (road frontage) and buildable lot.